Prakash finished his undergraduate in EE from BITS, Pilani, he completed an MTech in CS from IIT, Delhi. Prakash joined Sun Microsystems as an engineer in the compiler group. He held several positions at Sun in a career that spanned over 20 years. During that time, he co-authored a book (published by Pearson) "Implementing SOA applications using Java EE" and was awarded several patents. Prakash became an entrepreneur when he left Sun in 2009 to co-found Micello as their CTO. Micello created geo-accurate indoor maps, which provided venues (such as Malls, Airports, Convention Centers, etc.) the ability to annotate the maps. Prakash left Micello in 2012 to consult with multiple start-ups as a "freelance CTO" - primarily helping them move their applications and services to the cloud. This includes IntelliVision, a company that provides fine grained video analytics. The German outdoor map provider, Here Technologies, acquired Micello in Feb. 2018. The wireless security and home automation company, Nortek Security acquired IntelliVision in May 2018. 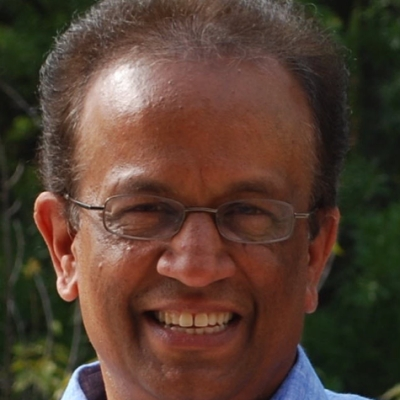 Prakash is a member of the Angel Investor group Keiretsu Forum. He volunteers his time in several organizations, including TiE Silicon Valley, ATEA (American Tamil Entrepreneurs Association) and BITSAA (where is the CTO of the Silicon Valley chapter) to mentor budding entrepreneurs and run meetups on emerging technologies. In his remaining spare time, Prakash is a USSF-certified soccer referee. He is also a registered USCF Scholastic Chess Tournament Director.